The Chilnualna area of Yosemite National Park is one of those gems that you just can’t pass up; high mountain lakes and passes, meadows strewn with wildflowers, views galore and—of course—waterfalls. This 5 day backpacking trip will have us starting from the southern portion of the park in Wawona and then hiking to Chilnualna Falls, the largest fall outside the Valley area. 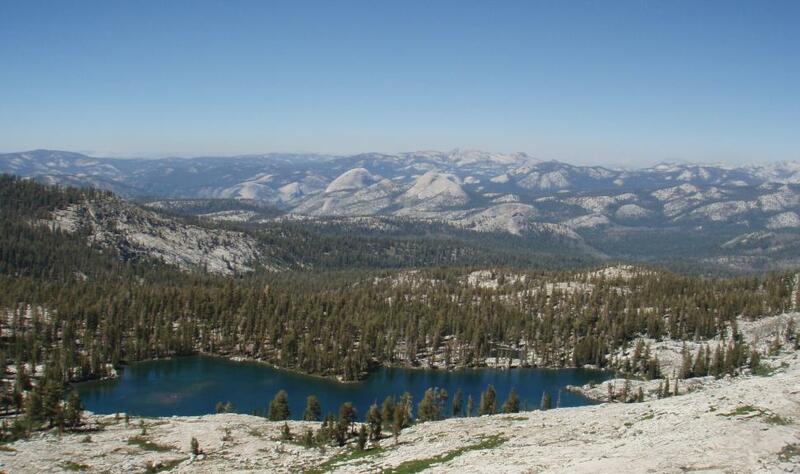 This loop will then take you to several glacier formed lakes in the higher country of Yosemite National Park. 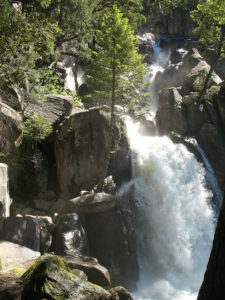 You will hike over a 9,000 foot (2743.2 m) pass before descending back down to Chilnualna Falls and Wawona. After each day of hiking, take a swim, relax by the campfire or take some time to enjoy the beauty of Yosemite. Want a little extra time to just chill by the water? Add a 6th day to the hike for some more “you” time! After meeting the group, we will all caravan to the Southern portion of the park to Wawona – parking at the trailhead for Chilnualna Falls to start our 5 mile (8 km) hike. With a 2000 ft (609.6 m) increase in elevation today, this first day is nothin’ to sneeze at! We will pass Chilnualna Falls, a 240 ft (73.2 m) waterfall that is lesser known than those you will find in the Valley area (therefore, fewer people)! We will camp near Chilnualna creek the first night. After breakfast, we will pack up and hike about 6.5 miles (10.5 km) with a 2000 ft (609.6 m) gain in elevation to Johnson Lake to camp – only after hiking past the supposedly haunted Crescent Lake – BOO! Johnson Lake that is great for swimming. There are also opportunities to go on a trail-blazing hike for some great views of the southern portion of the park. Today we hike about 4 miles (6.4 km) to Buena Vista Lake. 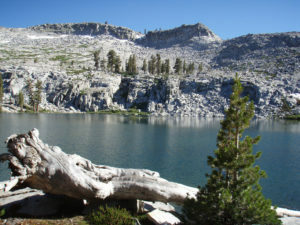 First we will hike by Royal Arch Lake at 8700ft (2651.8 m) in elevation, then we hike over Buena Vista Pass (gaining another 600 ft (182.9 m) and the highest point of our hike) where there is an amazing panoramic view of the park- Buena Vista Lake, another great lake for swimming. Today’s hike will take us along some of Chilnualna Creek’s arteries and lakes. There are a couple great campsites along the creek, but most guests like to camp at the same camp as day one – small waterfalls and great swimming holes. This is an 8 mile (12.9 m) hike mostly all downhill. We will hike back to Wawona today – the distance is the same as day one but we are descending the 2000 ft (609.6 m)! We are typically finished for the day around lunch time. Once back in Wawona, unpack all your personal belongings and say your goodbyes – departing with lifetime memories!